Journalist Sarah Kessler offers us a deep and nuanced view of independent work (aka The Gig Economy, freelancing, etc.) 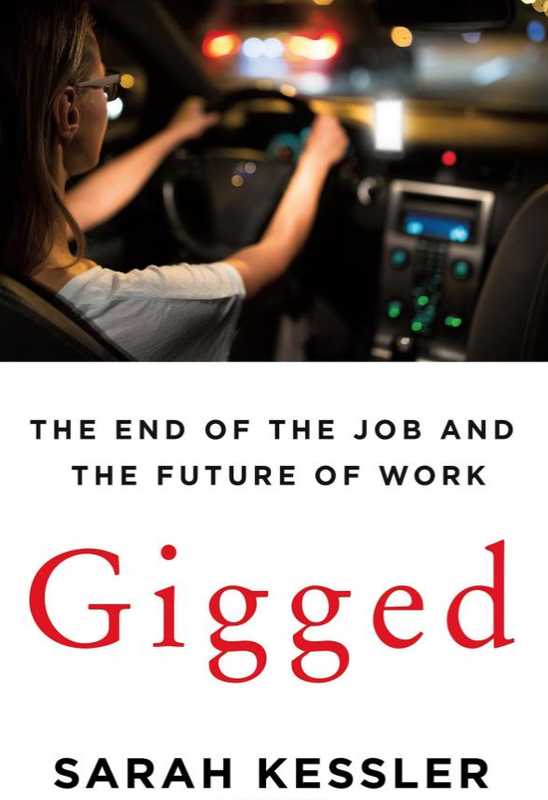 in her new book, Gigged: The End of the Job and the Future of Work. She follows the companies, workers, and social systems engaged in the growth of gig work. Upwork, Uber, Mechanical Turk, Gigster, Managed by Q, Postmates, Handy, and many others provide the backdrop for her analysis. She takes us through the growth of gig work through to late 2017. Where she considers the reality of expert Turkers (a term for the crowdsourced workers on Amazon’s Mechanical Turk platform), she offers the story of Kristy Milland (see a short form version in Wired) as she sets a goal of earning $100 a day, but at a physical cost given repetitive stress injuries. Milland eventually becomes an advocate for workers, considers starting a gig-work cooperative, and by the end of her story has been admitted to two law schools. The example allows us to see the realities of the system, and the thought process of smart and savvy Milland as she tries to build a new way of working. These are just two of the detailed examples she follows. Kessler thanks her sources in the Acknowledgements section and I add my thanks here. The time and honesty they offered let us all be better prepared for the future. The variety and depth of Kessler’s examples offer a window into the issues we all should have in mind as we plan our own engagement with independent work and workers. Definitions of employment are up in the air as are questions of how best to educate people for our futures of work. Reading Gigged allows you to see many of these issues in context. At the end of it, I don’t think Silicon Valley was wrong to attempt to restructure the job. Our current model wasn’t working, and the startup spirit of experimentation was necessary. But attempting to tackle the problems of the job— and yes, delivering flexibility— without fixing the support structures around it can’t quite count as progress, and it certainly doesn’t look like innovation….